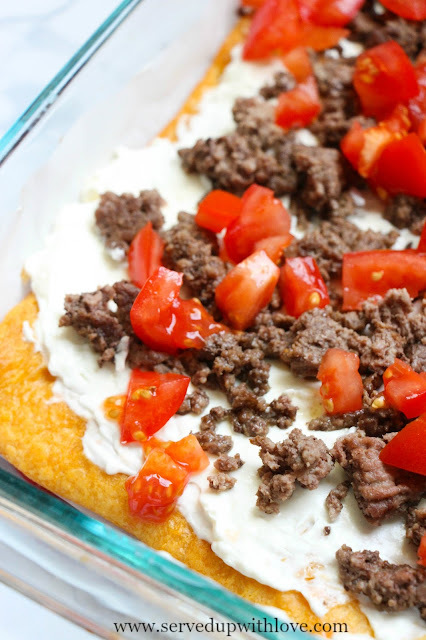 Shake up pizza night with a taco flair. 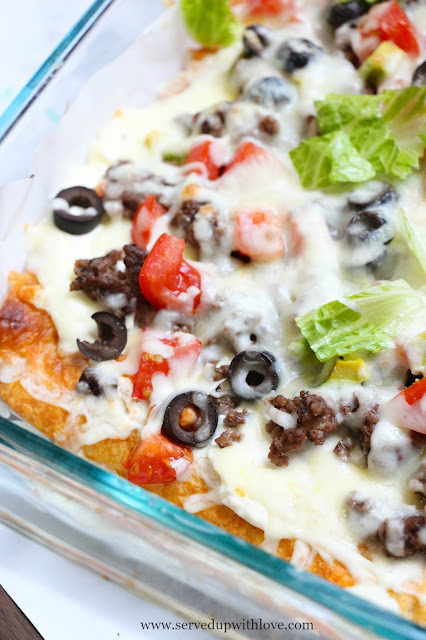 With a crescent roll crust and a creamy, cheesy sauce this Easy Taco Pizza will be a new family favorite. Pizza and tacos are two family favorite meals that we always have on the menu. I seriously think if my husband had his way we would have pizza every single day! Every now and again I try to change up the pizza toppings but eventually we gravitate back to our stand by pepperoni and cheese. And we do love that but sometimes you just have to mix it up. My favorite food is anything taco related so to be able to mix my favorite with his favorite is a win win. The creamy, cheesy sauce and the spicy taco flavor brings the wow to this pizza. 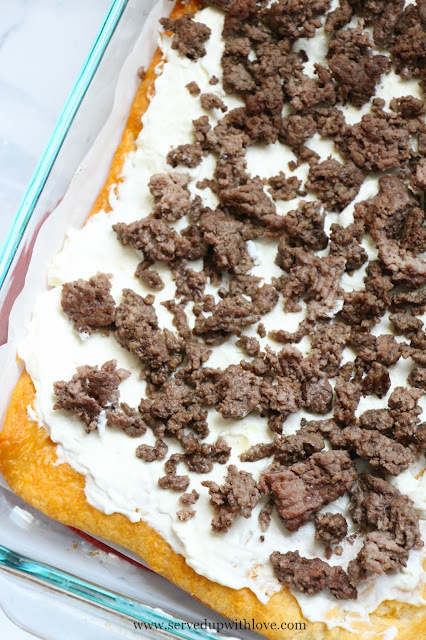 Its super easy to whip up on a busy night and the kids devour it. The next time the fam jam can't decide on pizza or tacos, make both! 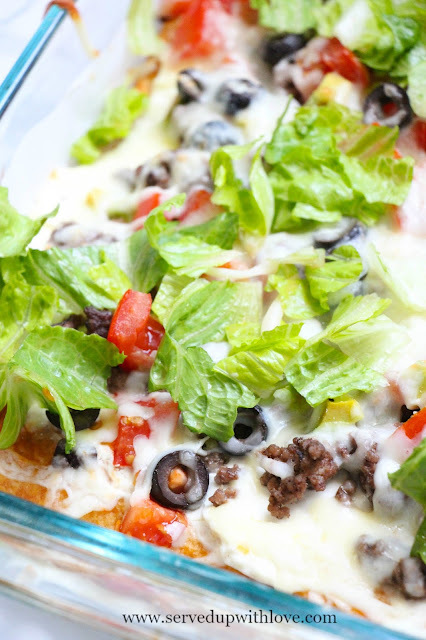 Easy Taco Pizza is perfect for busy weeknights and is a huge family favorite. Preheat oven to 375F. Place crescent dough on cookie sheets and press together so it forms one cohesive rectangle. Bake for 8-10 minutes or until light golden brown. Meanwhile, cook the ground beef and season with taco seasoning. Drain any fat if not using lean beef. In a small bowl, combine the softened cream cheese and sour cream. Spread over still-warm crust. Sprinkle the ground beef over the cream cheese sauce then 1 cup of shredded cheese, followed by the lettuce, tomatoes, and remaining 1 cup cheese.